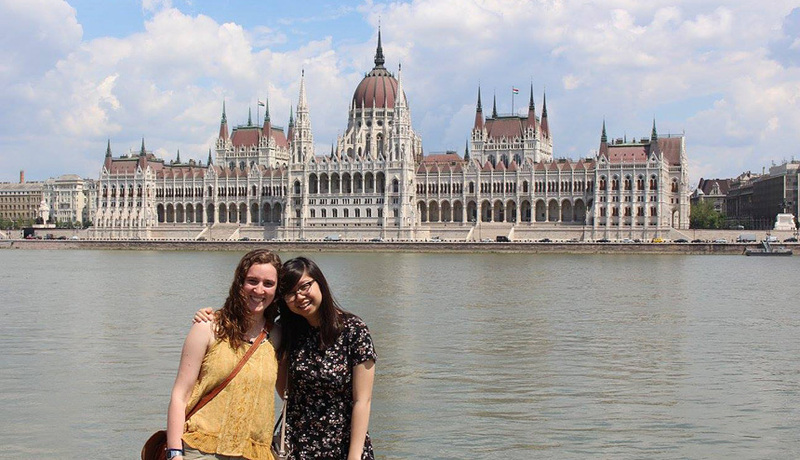 Zoe Tiet ’17, at right, stands with a friend in front of the Hungarian Parliament building along the Danube River in Budapest. For Zoe Tiet ‘17 the hardest part about studying abroad during the spring of 2016 was deciding where to go. Aquincum Institute of Technology in Budapest? Or Nanyang Technological University in Singapore? After talking with her study abroad advisor, sending in applications, she finally decided on AIT Budapest, which is devoted entirely to computer sciences and software engineering– and is designed specifically for North American students. She was able to take two classes to count toward her degree, and three others related to design and Budapest’s culture and history. Because AIT Budapest is a University of Rochester sponsored program, her financial aid carried over as if she were still at the University. She also received a Benjamin A. Gilmore International Scholarship, “which helped out a lot,” Tiet said. 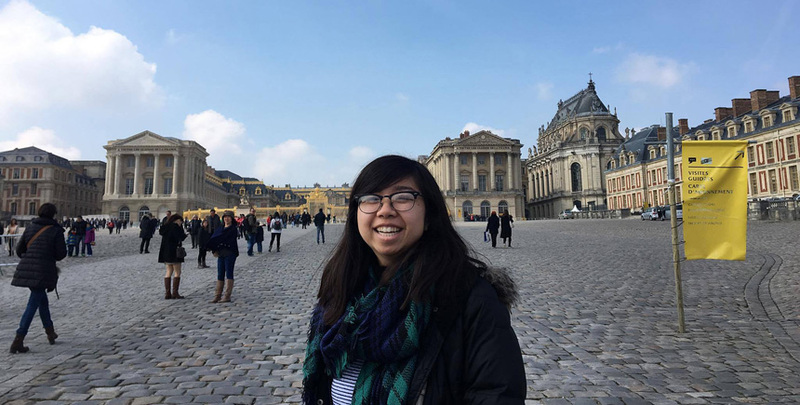 Tiet also traveled to Paris, France, during spring break to visit members of her family. “ It was great to be able to visit for so long and also feel like home while in another continent too,” she said. In this photo, she stands at the entrance to Versailles.